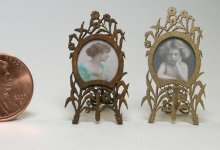 These pieces turned out so wonderfully that I felt they needed a category all of their own! 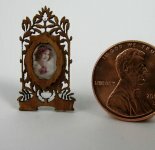 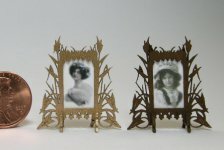 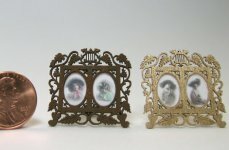 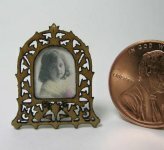 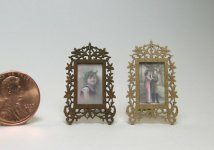 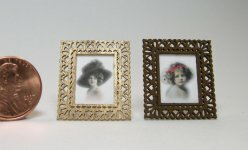 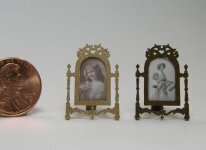 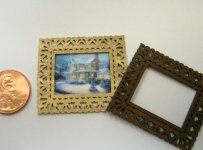 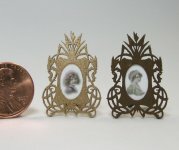 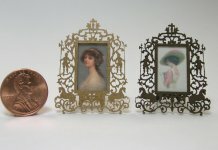 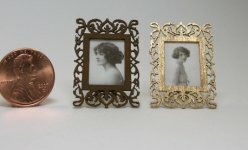 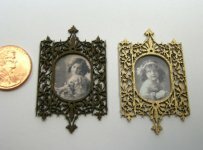 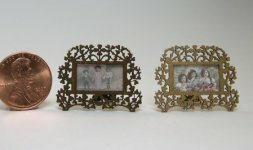 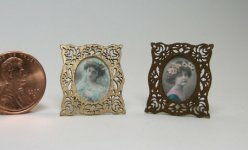 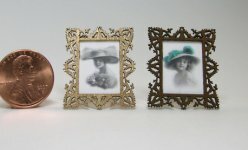 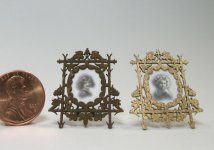 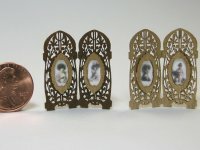 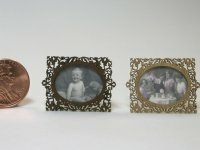 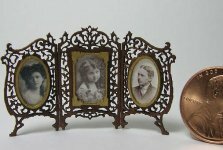 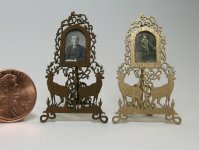 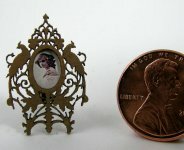 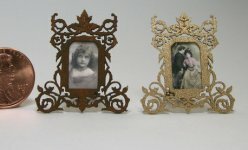 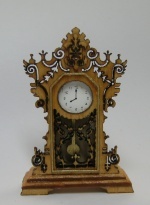 Antique fretwork patterns have been reduced and modified to create what have to be the most delicate wooden miniature frames you will ever find! 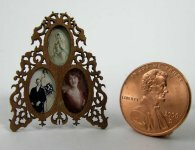 Imagine one or all on top of a grand piano in your miniature drawing room!